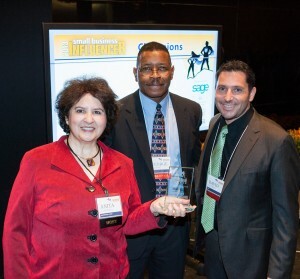 New York, NY, October 27, 2013 – Valcor has been named a Top 100 Champion in the 2013 Small Business Influencer Awards. Prices and interest rates up, stocks down — how the debt ceiling debate could affect you. In just two days, the U.S. government will run out of money to cover its bills unless Congress votes to raise the debt ceiling. Whether that will happen is still unclear. But a 48-hour resolution seemed increasingly unlikley on Tuesday after the House of Representatives and the Senate introduced competing plans. Even if lawmakers are able to stop squabbling and resolve their differences before Thursday, Bill Hampel, chief economist at the Credit Union National Association, says “consumer confidence is likely to take a major hit.” And that could slow the economy for the rest of the year. But the impact will be even more severe if more time passes without action. Here’s why. If Congress fails to raise the debt ceiling, the government will be in default, which could mean it will not pay the holders of public debt, such as Americans who own government bonds or foreign countries like China, which hold U.S. Treasury securities. Alternatively, the government could be in “technical default,” meaning it would stop paying its other financial obligations, like federal grants for Head Start preschool programs or Social Security and Medicare payments, says Edmund Moy, chief strategist at IRA provider Morgan Gold.